iBroken is dedicated to 100% customer satisfaction. Our highly trained technicians have spent countless hours bringing customers iPhone SE back to life. This experience ensures that your iPhone SE gets the best possible care that it deserves. Get your iPhone SE repaired in Calgary today! iBroken is a customer satisfaction driven company. We are just regular people helping regular people. Broken glass? Bad home button? We can fix it. Every single screw goes back to where it came from. The way it should be. 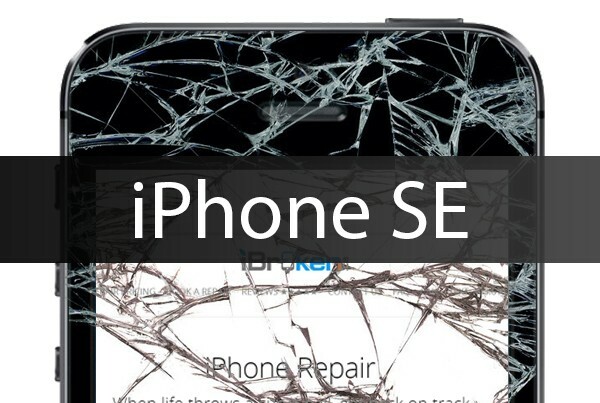 Professional iPhone SE screen replacement, If you’ve tried to fix your iPhone SE screen replacement yourself but aren’t able to finish the job, we can help with that too. You break it, we fix it! iPhone SE is a smartphone brand designed and marketed by Apple Inc. as part of the iPhone series of devices. It was unveiled on March 21, 2016, at Apple’s Cupertino headquarters and was released on March 31, 2016. It serves as a replacement for iPhone 5S as a lower-cost entry in the iPhone product line; combining the updated processor, rear camera, and other features from the high-end iPhone 6S with the smaller 4-inch display and nearly identical styling to the iPhone 5S, the only differences being the available colors (similar to the iPhone 6S models) and the matte chamfered edges. The parts across for these models are the same and most repairs can be fixed within an hour. iBroken offers iPhone SE screen replacements in just 45 minutes using Premium Plus Screens. iBroken also is easily able to replace the dock connector on the iPhone SE in about 35 minutes. The Dock Connector on the SE is the same component that regulates the charging, the Touch ID sensor, and the headphone jack. If your iPhone SE has any issue pertaining to that listed above, this is the repair you’ll need. If your iPhone SE Camera doesn’t open or is blurry you may need a new camera. iBroken can replace this as well. Contact us today so we can fix it and get your iPhone SE back up and running smoothly!